It took a while for Nintendo to dip its toes into the waters of mobile gaming, but now it's taken the plunge, the company isn't letting up, and there are going to be several more releases in 2017 to look forward to. In an interview with Kyoto NP in Japan, Nintendo president Tatsumi Kimishima said the company was thinking about releasing two or three games every year from now on, although he stopped short of giving us any more details. Earlier this year Nintendo said Fire Emblem and Animal Crossing would be making the leap to mobile, although we haven't heard much about them since - they could well be two of the titles we see during the next 12 months. 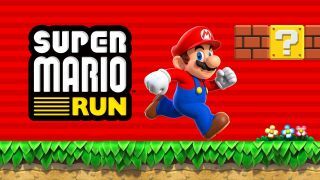 Given the interest Super Mario Run has attracted it's no surprise that Nintendo is ramping up its mobile efforts. The game has been downloaded more than 50 million times, with an Android version still to come, and Kimishima says he expects that number to eventually hit 100 million. How many of those people have stumped up the $9.99/£7.99 in-app purchase price for all the game worlds isn't clear but Nintendo will no doubt be learning lessons ready for its 2017 flagship mobile games. Another Nintendo property, Pokémon Go, was the smash mobile hit of 2016, and even though that app was was developed by Niantic rather than Nintendo itself, it's an encouraging sign for whatever's coming next year.